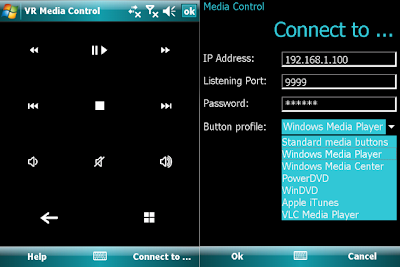 Virtual Remote Media Control App for Windows Phone converts your phone into a remote control for media players (supporting Windows Media Center, Windows Media Player, iTunes, PowerDVD, Media Player Classic and VLC). Over the Wifi, you can control media functions such as play, pause, stop, next, previous, rewind, forward, and controlling the volume. 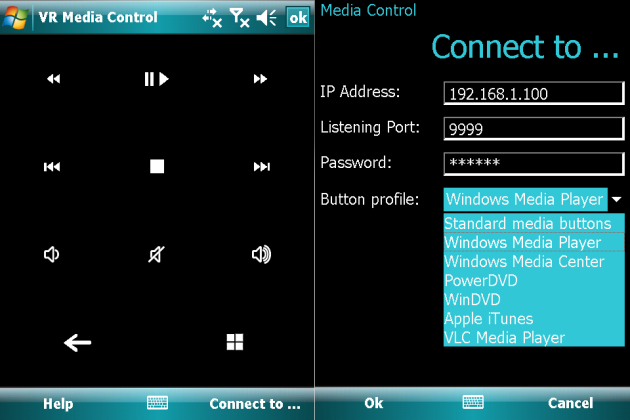 You can launch Windows Media Center from your couch or put a player in full screen. You can use your phone's D-pad arrows and Ok button to browse your media in supporting players. Supports typical media functions such as play, pause and stop. Get the app for $2.99 from marketplace.